Blue Mountain Lodge is located in the Becharof Ugashik Lake Region of Alaska, USA. The area is the spawning grounds for all species of salmon and millions of salmon each year crowd the lakes and streams. This abundance of food helps to support one of the most dense Brown Bear populations in the state. 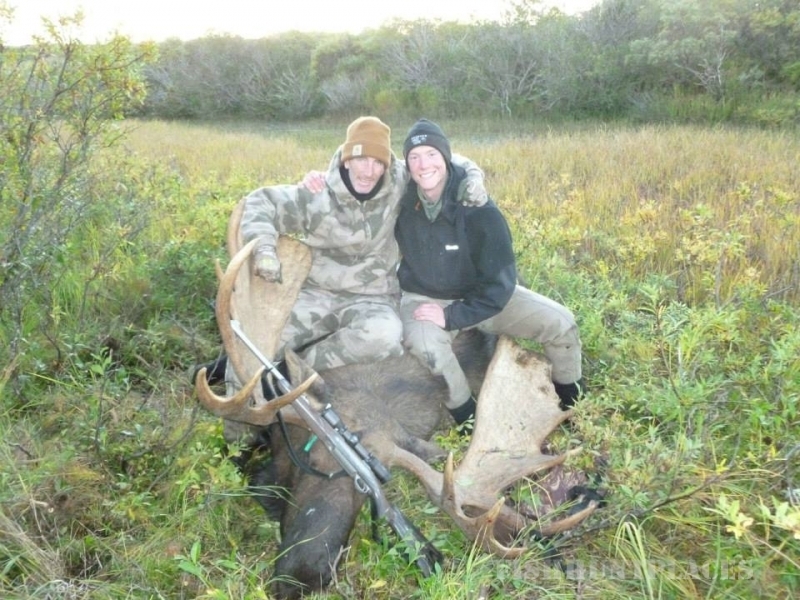 The Alaska Peninsula supports a wide range of wildlife including the Northern Peninsula Caribou herd and moose averaging 60 inch racks. Wolf and wolverine are also in the area along with waterfowl and Willow Ptarmigan. 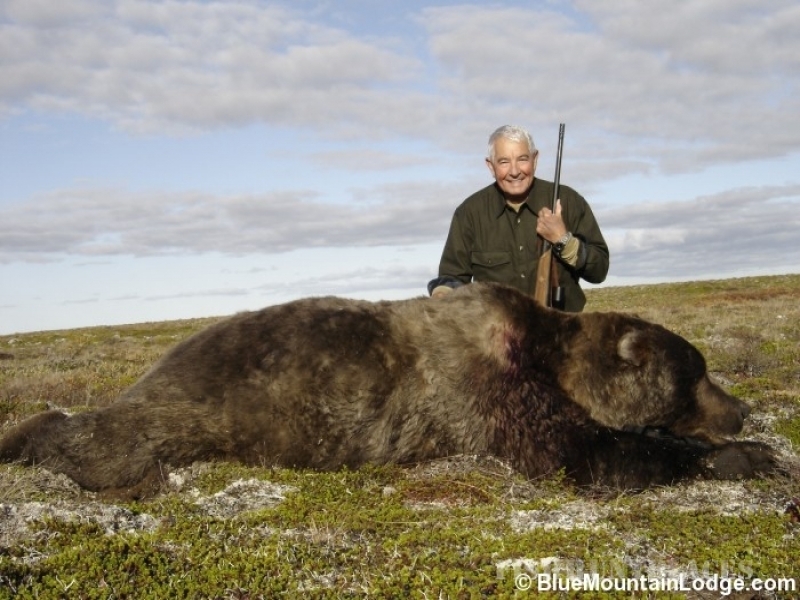 The population of Brown Bears on the Alaska Peninsula is at an all time high. With an abundant supply of salmon, berries, moose, caribou, ground squirrels and carrion the refuge provides excellent habitat for numerous brown bears. 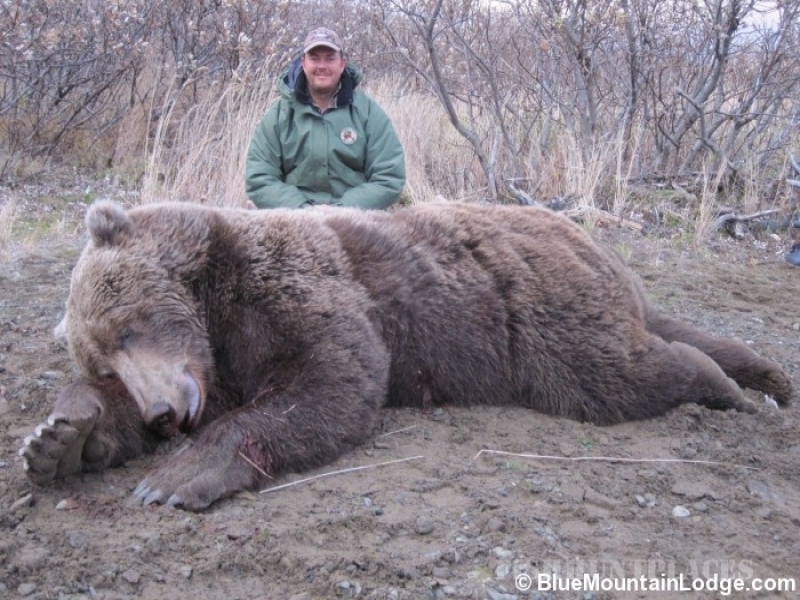 The refuge supports one of the highest concentrations of brown bear in Alaska. 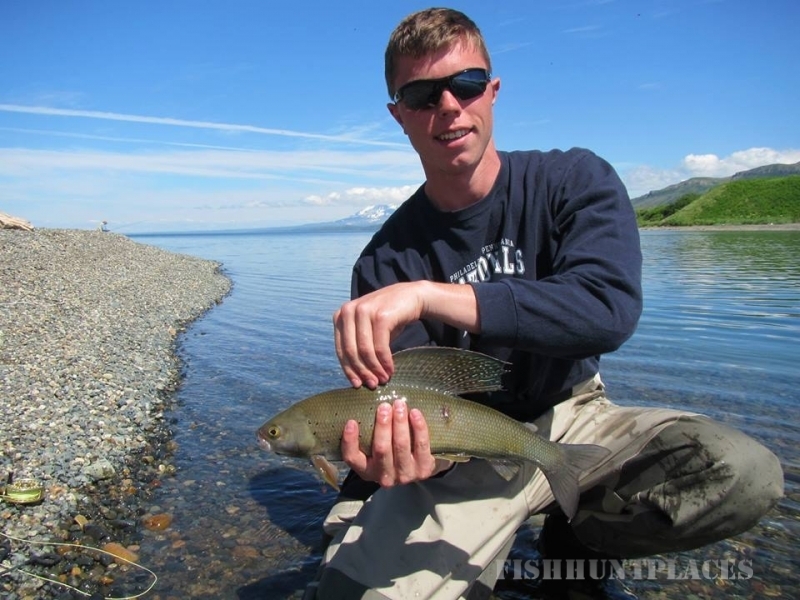 According to Becharof National Wildlife Refuge staff, Becharof and Alaska Peninsula N.W.R. combined are thought to be home to as many as 3000 of these magnificent animals. Bears range from mountaintops to seacoast. Depending on weather conditions and food supply, bears usually leave their dens in April/May and return in October/November. Some bears will den much later, or not at all, if adequate food sources are available. 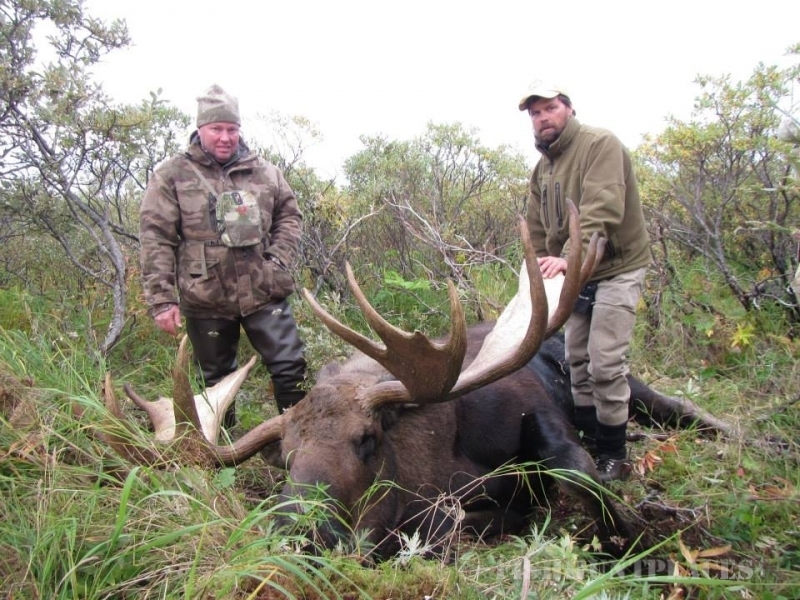 The Alaska Peninsula has one of the best opportunities to harvest moose in the state. 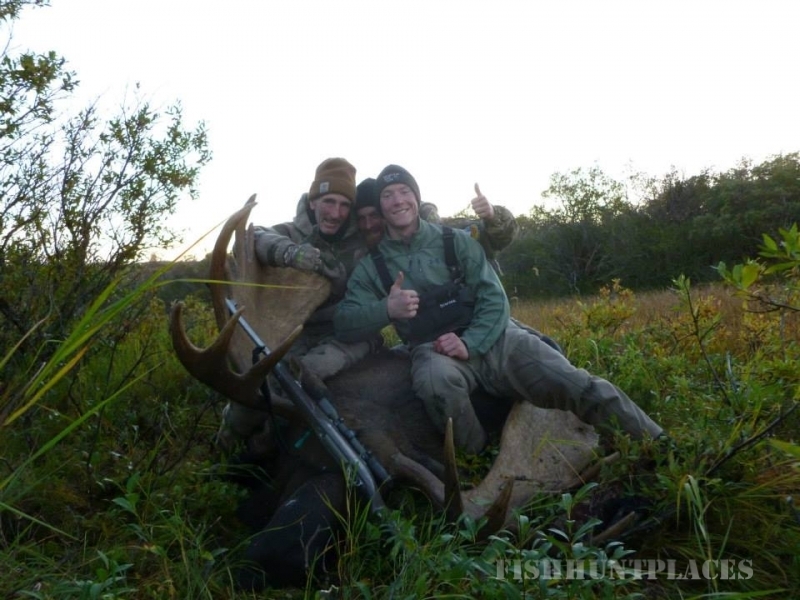 The Alaska Peninsula may not have the largest number of Moose or the most record book entries, instead the real difference about the Peninsula is what the Moose don't have - timber! They can run but they can't hide. Eventually they will show themselves in a Willow thicket or pop out of an Alder patch! I know where they live; I've been doing this since 17 years of age. 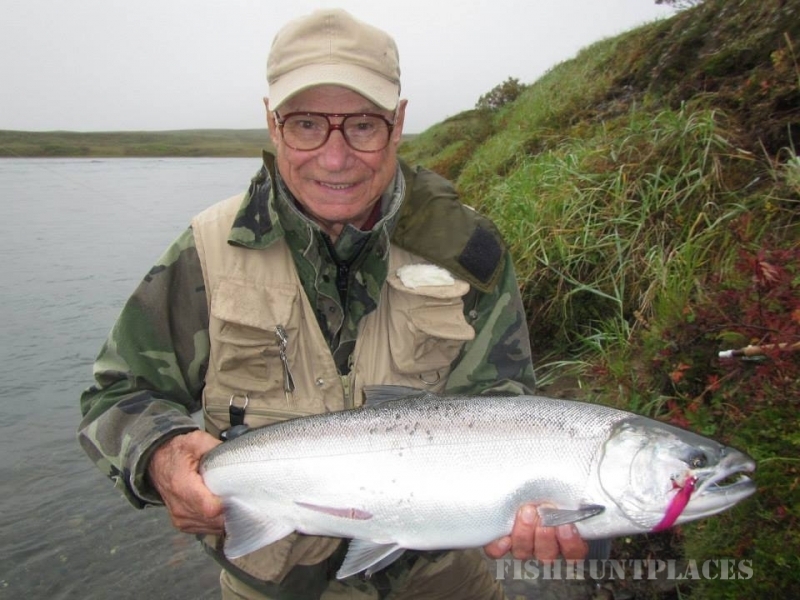 Blue Mountain Lodge is in the heart of the best fishing the Alaska Peninsula has to offer. 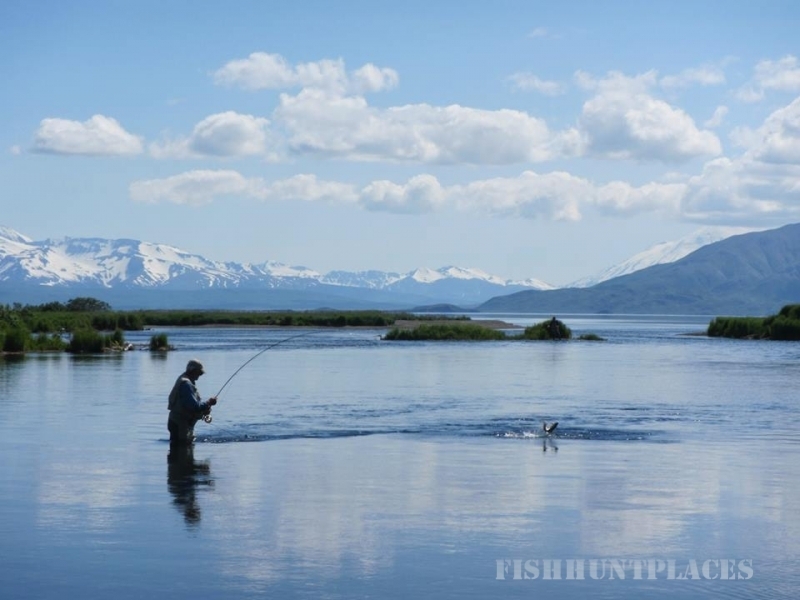 This is Alaska's best-kept secret, we do absolutely no advertising, all of our fishing trips are booked from referrals. 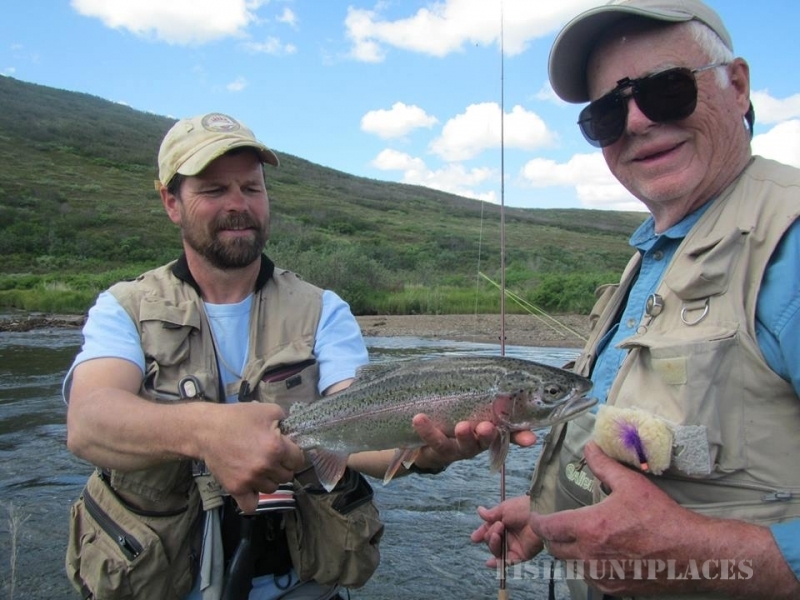 Many of our clients have been returning to fish with us since the mid 1980's. 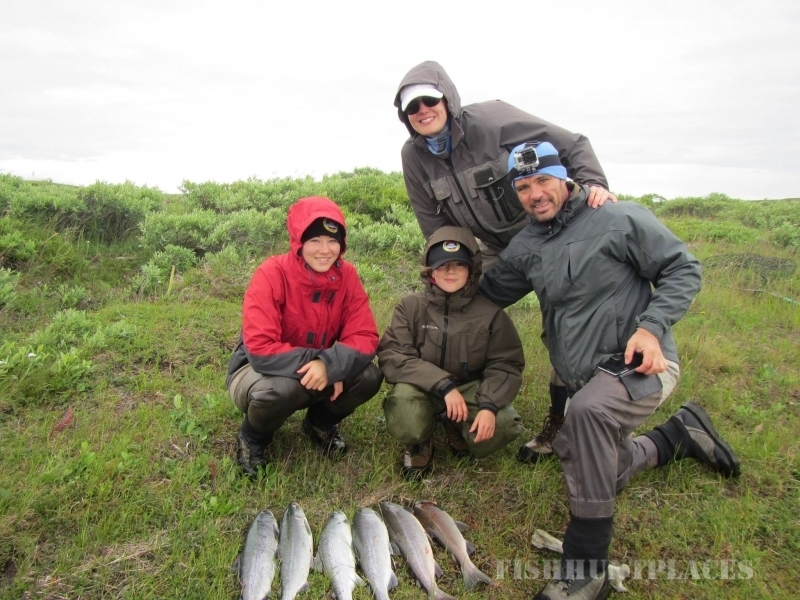 We cater to small groups from 2 to 6 fisherman. You will not get lost in the crowd at Blue Mountain Lodge. 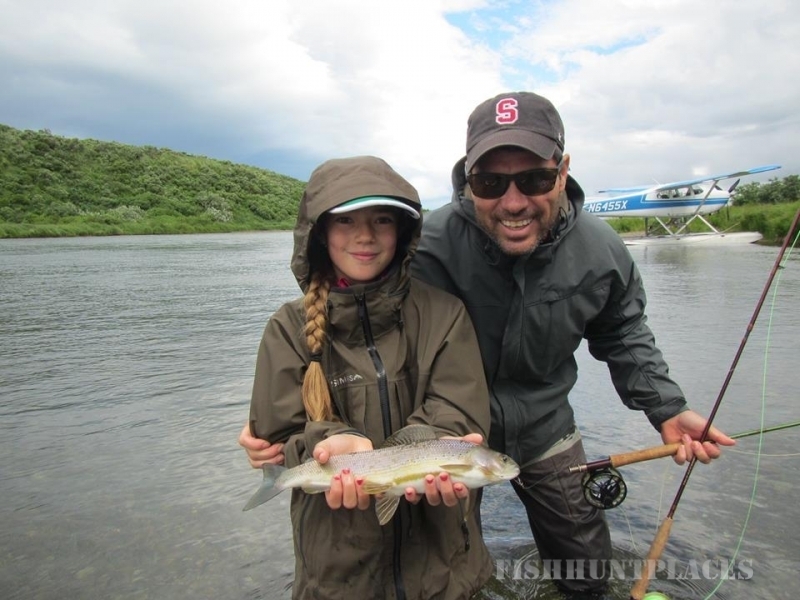 We will fly out and stay with you, knowing the best rivers and lakes with the best fishing. Lunch is shore style, possibly cooking your own catch. After lunch you'll either continue there or go onto a new fishing waters. After a long afternoon you will fly back to Blue Mountain Lodge for a delicious family style dinner. 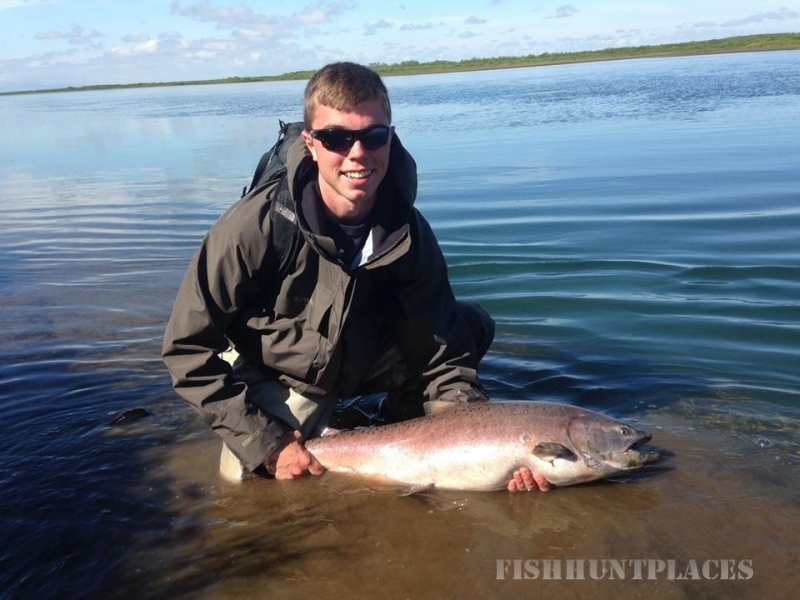 We have a great variety of fish and locations to keep you moving and enjoying yourself everyday.